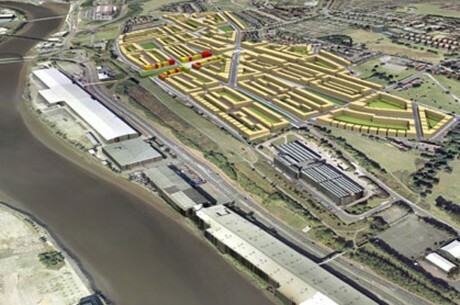 Currently underway, the regeneration of the 60-hectare Scotswood site is due to be completed by 2026. By the end of the 20th century, few traces remained of the variety of manufacturing industries that used to fill the land above the Tyne. 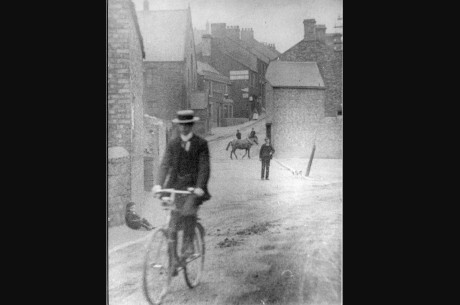 It was possible to cycle or walk along the riverbanks and even to fish in the river – unimaginable 20 years earlier. Instead of the former heavy industries, there were miles of warehouses, retailing outfits and office developments. These looked better than the dirty old factories but they provided only a fraction of the jobs previously to be found along the riverside. The area was still relatively deprived and bore the scars of the years of social and economic deprivation and unrest. However for the most part the serious problems that had manifested themselves during the high unemployment years of the 1980s and 1990s began to recede, as improved policing combined with a better economic environment and greater opportunities for young people took effect. However, the beginning of the decade was to bring a bombshell. The City Council launched its ‘Going for Growth’ strategy, which set out a vision for Newcastle as a “competitive, cosmopolitan and cohesive capital”. This strategy envisaged the demolition of over 7,000 homes, most of them in the inner west. Most of Scotswood and large parts of Benwell were deemed “unviable”. Going for Growth was seen as a brave and visionary plan for the city, which over a 20 year period would tackle the social and economic problems of its most deprived areas by removing them wholesale and replacing them “mixed communities”. 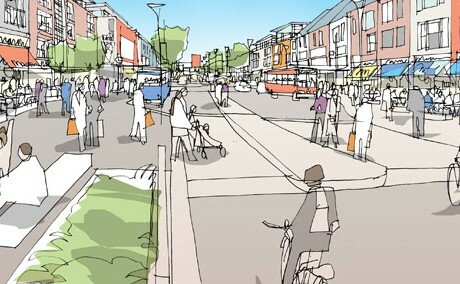 The plan was not just about housing – it also included ideas for improving shopping and community facilities, building better schools, and creating new employment opportunities and transport links. Going for Growth prompted outrage from many local residents who did not consider that losing their cherished homes was a reasonable price to pay for what they saw as merely paper plans. 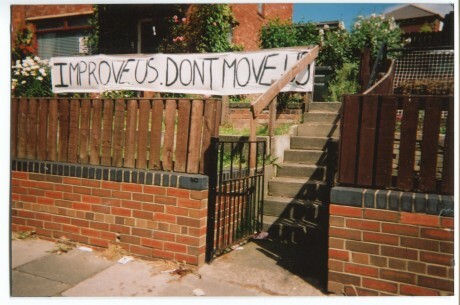 In many neighbourhoods, residents organised against the demolition proposals, with some measure of success. 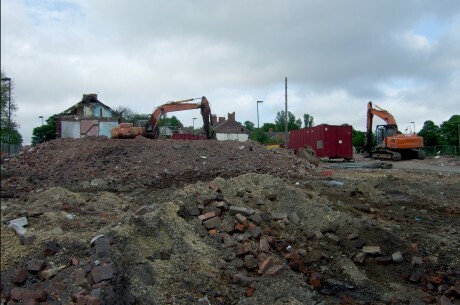 The plans to demolish part of the North Benwell terraces to create space for a new shopping centre were dropped, for example, and ultimately the final number of houses cleared was considerably less than in the initial plan. However, the main plan to clear a large area of Scotswood and West Benwell in order to create a big empty site for a new “world class” housing development went ahead, despite prolonged and vigorous campaigns by local residents. The original Going for Growth masterplan envisaged the first 1,000 new homes being built in Scotswood and West Benwell in 2006. 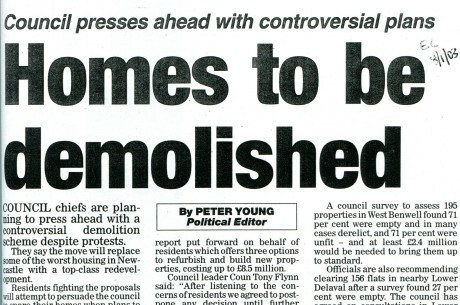 However the legal and planning processes involved in large-scale housing clearance took a great deal longer than the council had reckoned. 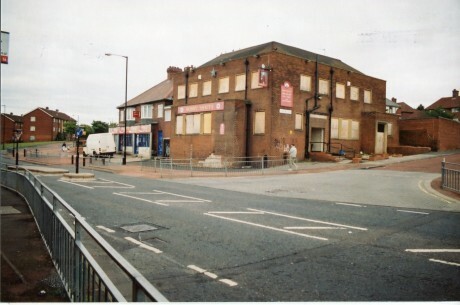 For several years, Scotswood and West Benwell were peppered with empty sites, partially cleared streets of housing, and rows of boarded-up homes. Dereliction was everywhere, but there were few signs of the promised “urban renaissance”. The large-scale new building plans also failed to materialise on the scale envisaged by the City Council. The masterplan had envisaged a big increase in the number of homes in the inner west, mainly through the creation of a “World Class Urban Village” in Scotswood and West Benwell with up to 3,000 new houses. This was criticised by the government and the Audit Commission as unrealistic, and watered down to a more limited scale. The unpopular ‘Going for Growth’ label was also dropped. Unlike previous regeneration initiatives which had built or improved housing in the area, the 2000s regeneration strategy had to be led by the private sector. Part of the grand plan was to hold a major Housing Expo in Scotswood to kick-start the regeneration by attracting developers. The Housing Expo was to be “an international demonstration of the best current ideas and approaches to urban living”. The model had been used elsewhere in Europe, but this would be a UK first – and the first set within existing communities. The intention was to hold the Expo in 2008, but the timetable kept slipping until finally the idea was abandoned altogether in the context of the national economic recession. Throughout this whole depressing period, committed community activists continued to invest time and effort in helping to shape the plans and working in other practical ways towards the aim of creating a better quality of life in their local communities. By the end of the decade, there was little to show in terms of a housing renaissance, although Scotswood did by this time have a brand new Academy on a former housing site. This replaced the former Westgate Community College. Ten years after the launch of Going for Growth the last of the condemned homes in Scotswood and West Benwell were still to be demolished, and the area was blighted by empty sites, empty houses and empty shops. 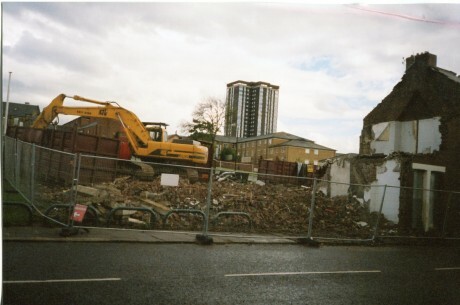 Large-scale housing demolition was still in full swing as the 1970s began. One of the streets depicted in the 1971 film ‘Get Carter’ (Frank Street) fell to the bulldozers shortly after being filmed. However as the decade progressed, there was shift towards a new policy of improving homes where feasible, rather than resorting to wholesale demolition, and a significant part of the old terraces was saved. Many active residents associations sprang up in this period to defend the homes that could be saved, and to fight for more sensitive re-housing policies for those whose homes were destroyed. 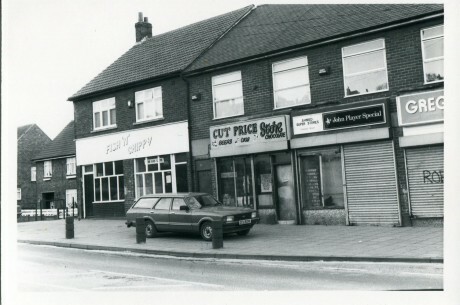 As people were re-located on the new housing estates such as Buddle Road, they often took their experience of community organising with them and set up new tenants associations in their new communities. In the terraced areas that remained, new residents associations were also set up. Their main aim was to ensure better living conditions in these older housing areas by fighting for housing and environmental improvements. The redevelopment schemes of the 1960s and 1970s also had an impact on the patterns of shopping and social life. 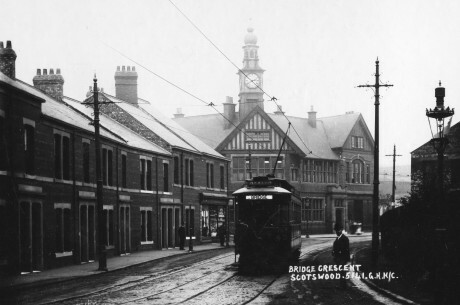 In particular, Scotswood Road was transformed from a busy street of shops, pubs and churches at the heart of a dense residential area into a sterile through route intended to enable vehicles to travel into and out of the city centre as efficiently as possible). Further north, on Adelaide Terrace, many of the existing shops were demolished to make way for a new concrete shopping centre. 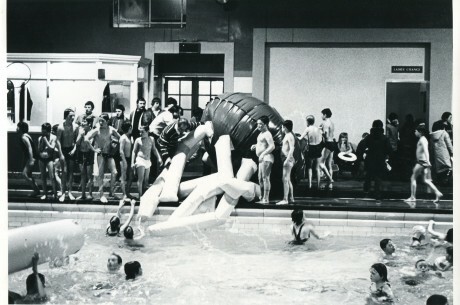 This was labelled a white elephant almost as soon as it opened and, after remaining more than half empty for years, was eventually demolished in the 1990s. Meanwhile the rate of job loss continued to accelerate. 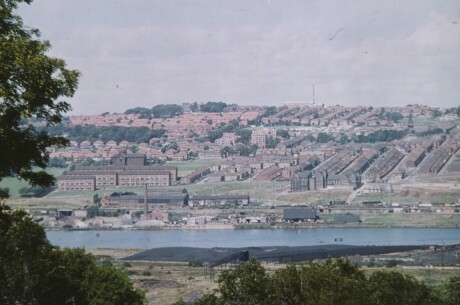 By the mid-1970s, employment at the Vickers factories along the West Newcastle riverside had fallen to little more than 3,000 – less than 16% of the previous wartime figure. The Vickers Scotswood works closed altogether in 1979, despite a lengthy campaign by the workforce, supported by their colleagues in the other two local Vickers factories – Vickers Elswick and Michells. This story can be repeated for other factories in and around the area. The 1970s were particularly disastrous years for local employment. During the last two years of the decade, for example, almost 1,500 jobs were lost from the eleven biggest local employers – representing a decline of 22% – and two of these eleven had closed altogether. Not only were thousands of workers thrown on the scrapheap during these years but the rising generation were left in many cases to face long-term unemployment or dead-end jobs. One of the factory closures during the 1970s was the famous sanitaryware makers Adamsez, whose toilets adorned bathrooms across the nation. Adamsez had been a family firm until the 1960s when it was sold to new owners who appeared to want to keep it as a going concern. Prior to the sale, a new managing director had been brought in to knock the company into shape for a profitable sale. He sacked 40% of the workforce in a brutal manner. The new owners, who were from the booming fringe financial world of the 1970s, turned out to be interested in quick results rather than investing in the company to update its equipment and processes. When it failed to perform as hoped, they closed it down in 1975 with the loss of 170 jobs. 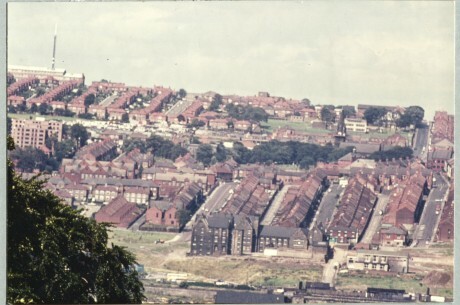 It is not surprising that by the early 1970s Benwell and Scotswood had been officially classified as an area of deprivation by being allocated a local Community Development Project (CDP) as part of a national programme which was Britain’s first and only poverty programme and its answer to America’s War on Poverty. The Benwell CDP was given five years to research the causes of poverty locally, and to try out ways of tackling this at a local level. The Project’s research showed that the social and economic problems of the area were rooted in de-industrialisation: too many jobs were disappearing from the area and most jobs were in the low-wage, low-skill service sector. Following the CDP, the west end of Newcastle has experienced a long series of special national initiatives. These have gone under a string of different names – urban policy, inner city policy and most recently regeneration policy – all of which have tried to tackle the bigger problems of poverty and industrial decline by putting in limited amounts of money at a local level. Benwell and Scotswood benefited from the Inner City Partnership programme, which started later in the 1970s and continued for over a decade. 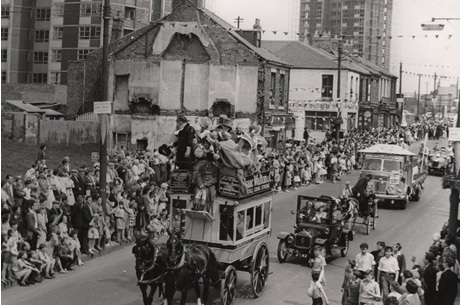 This was was an annual fund which financed many of the community-based voluntary organisations still active in the west end today, and therefore has had a significant and enduring impact on the community infrastructure of the area. In many cases, it provided the resources to allow local ideas developed by local people to be put into practice. 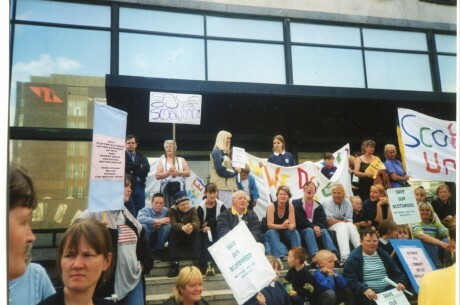 The community of Scotswood has a long history of community action, self-help and voluntary work. 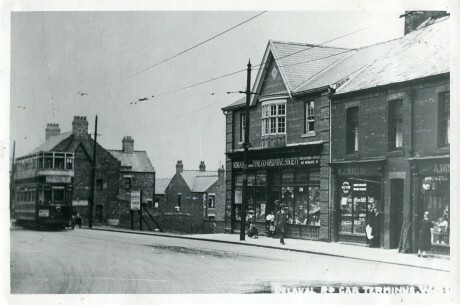 It was Scotswood residents who set up the first credit union in the morth east, for example. 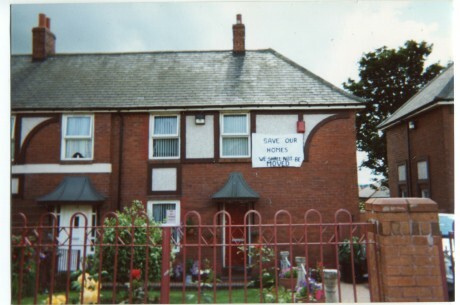 The original Scotswood Tenants Association campaigned vociferously in the 1970s for improvements to the estate, and later ran the Tenants Hut which provided a lunch club, children’s activities and other community facilities. Fergusons Lane Tenants Association was set up later on to represent residents from the upper part of the estate. It set up its own premises, which are still in operation today as the Fergusons Lane Hut, providing a community meeting place and also volunteer-run activities and services for almost a hundred older people a week from across the west end. 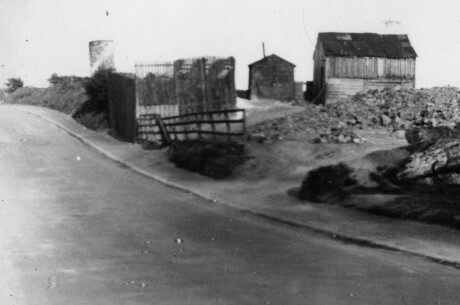 During the 1960s, much of Benwell was transformed as the bulldozers advanced. 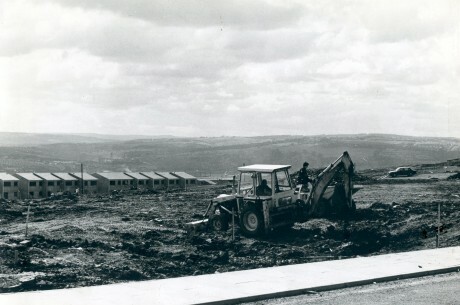 Clearance of the long terraces that stretched from Adelaide Terrace south to the industrial area along the riverside began during the 1960s, demolishing the houses in phases starting from the lower end where the property tended to be of poorer quality and making its way up towards High Cross which was scheduled to be cleared later in the 1970s. This period is closely associated in popular memory with the figure of T Dan Smith, the Labour politician who was leader of Newcastle City Council from 1960. 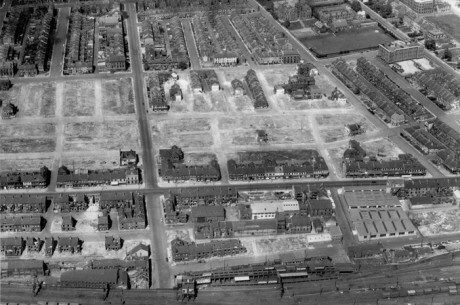 Smith initiated a series of slum housing clearances in the city that saw large amounts of money and effort placed on housing redevelopments that experimented with new building methods that would produce more units of housing at lower cost. The Cruddas Park flats are a product of such redevelopments. Smith also had grand plans for the city centre, such as an urban motorway, a rapid transit system and a new library, and he authorised the demolition of a large part of the city centre to create a new shopping centre. Nevertheless, he is mainly remembered today for his criminal activities, after being imprisoned for corruption in the 1970s. It is easy to over-estimate Smith’s significance in the history of Newcastle, however. He led the council for only five years, and many of the decisions and actions popularly associated with him were actually carried out by his successors. Smith died in 1993 still protesting his innocence. The postwar years were to see the area’s local industrial base enter a terminal decline.The number of people employed at the Vickers-Armstrong works fell once more until, by the 1960s, employment was down to 7,000 compared to the war-time high of 18,500. This was part of a wider pattern of job loss; between 1964-1971, for example, 2,200 mechanical engineering jobs were lost in Benwell – a 39% reduction. 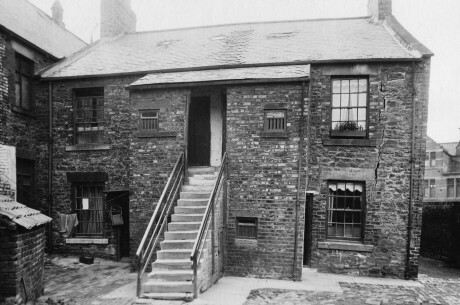 This period also saw the start of a huge programme of housing clearance intended to solve Newcastle’s terrible slum housing problem. The city had the worst record of poor housing in England outside London. Much of the worst housing was in the west end. 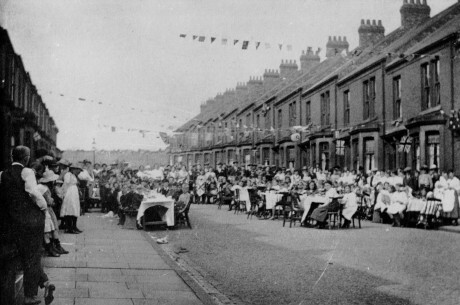 Some parts of Benwell, such as Noble Street and adjacent streets, were demolished as early as the 1950s and new housing built on the cleared sites. It is tempting to romanticise the past, and bemoan the loss of the old housing as the destruction of strong and proud communities. 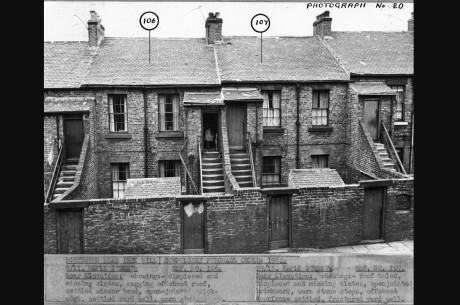 Undeniably some of the houses that were knocked down in the mass slum clearance programmes of the postwar decades were of good quality and could have been refurbished rather than demolished. In some cases, houses were demolished for planning reasons rather than because they were genuinely slums. However there were also without doubt many thousands of substandard homes lacking in basic amenities which were beyond reasonable repair. Stories abound of tenements with several families sharing one tap and an outside toilet, or of damp, cramped terrace flats without electricity, hot water or inside toilets. These are paralleled by accounts of the delight experienced by families moving into new homes with bathrooms and gardens for the first time. Most people agree that a price was paid in the form of a weakening of community – although it is hard to separate the effects of physical redevelopment from wider social factors such as the increase in women taking paid employment and the decline of the extended family. War had always been good for business at the West Newcastle works of Vickers-Armstrong. The Second World War was no exception, and employment shot up to 18,500 as the demand for tanks, shells and guns rose again. Women were encouraged to join the workforce in order to free up men to serve in the armed forces. 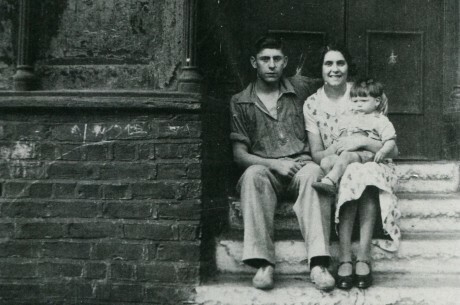 Home life was also affected by the war. 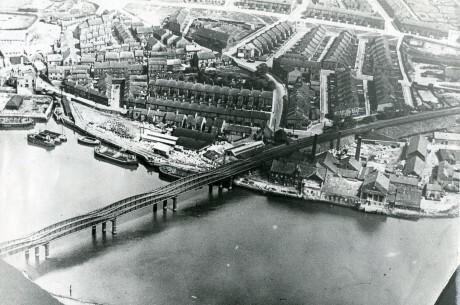 Benwell and Scotswood were seen as at risk of bombing because of their proximity to the armaments factories on the riverside. Thousands of local children were evacuated, some with their mothers and some alone. Many returned after a short time either because of homesickness or because families decided that they preferred being together despite the potential dangers. For those children who remained in the area, education was badly disrupted as schools closed altogether or only opened part-time. 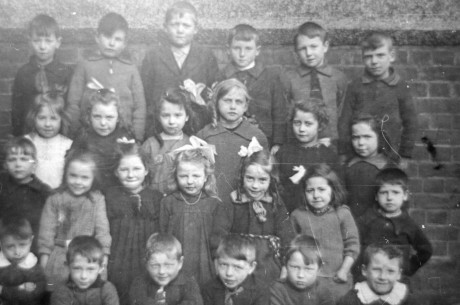 Air raid shelters were built in an effort to protect the resident population, and schools had their own shelters and carried out regular air raid drills. 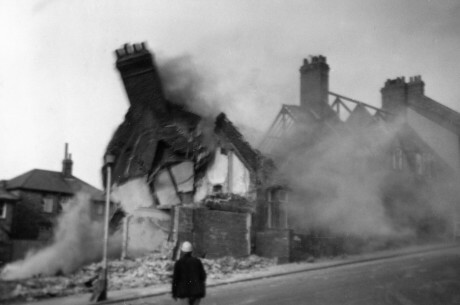 Residents in areas like Pendower where the houses had gardens were given Anderson shelters where they could go during bombing alerts. Many of these were still there, functioning as garden sheds, decades later. Despite repeated efforts to bomb Vickers and the other shipyards and factories along the riverside, Benwell and Scotswood actually got off quite lightly. Very few of the bombs hit their targets and there was limited damage to local factories or homes. There were civilian casualties but nothing like the losses suffered in London and other cities. In fact, during the later stages of the war, evacuees from the south were being sent to the west end of Newcastle to escape the Blitz. One of the most famous incidents to occur during the war in this area was the snapping off of the top of the spire of St James’ Church by a stray barrage balloon. Many older residents remember seeing the resulting heap of stones and slates scattered across the road, where it remained for some time. At the end of the war, life in the west end gradually returned to pre-war normality. 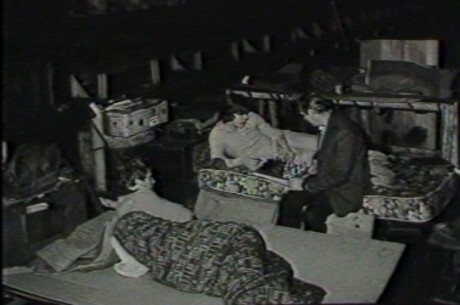 The children and families who had been evacuated to the countryside to escape the air-raids returned to their homes. Just as had happened during the First World War, the women who had been brought in to work at the armaments factories and in other ‘men’s jobs’ were pushed out again, and encouraged to take up roles as full-time housewives and mothers. Men and women returned from the armed forces, the Land Army, and other services, and took their place in civilian life once more. 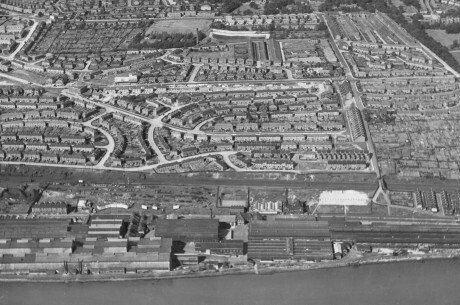 The 1930s saw a further big growth of council housing locally, with the building of the Scotswood and Fergusons Lane estates. The push to provide council housing had continued through the interwar years, but the vision of building homes for heroes faded and was replaced by a focus on building more homes for less money. The new estates in Scotswood were built under a less generous government funding scheme governed by lower quality standards. They were meant primarily as a replacement for the slums demolished as a result of city centre clearance programmes. These interwar years saw the development of tenants associations on the local council estates as residents got together to push for repairs, environmental improvements and community facilities. Residents on Pendower finally got their own community hall in the 1930s, purpose-built on the recreation ground in the middle of the estate. Here they ran a full programme of social activities for all ages. Throughout these years, the local economy remained depressed, and many families struggled to cope with poverty and unemployment. It took another war to revive the area’s fortunes once more. After the war was over, the economic fortunes of the area slumped. Tyneside as a whole suffered badly in the great depression. 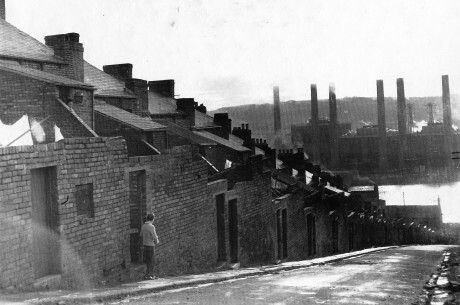 The traditional industries of West Newcastle, such as heavy engineering, coal and steel, were seriously affected, and unemployment and poverty became more widespread. In retrospect it can be seen that an underlying cause of these problems was the endemic failure of much of British industry to re-invest adequately and maintain its competitive edge. One of the high profile casualties locally was Spencer’s Steelworks in Newburn, which shut in 1926 with the loss of more than 2,000 jobs. There were also a number of company mergers during this period, and several well known names disappeared. 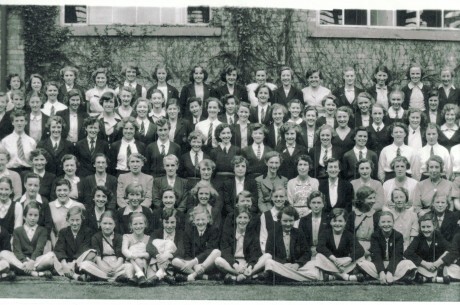 Armstrong’s merged with Vickers in 1927 to become Vickers-Armstrong. The area also suffered in other ways. This period witnessed the worst mining tragedy of its history in 1925 when a major disaster at the Montagu Pit in Scotswood claimed 38 lives. Most of the victims are buried at Elswick cemetery. On the positive side, the inter-war years saw the building of the first council estates in the area, providing homes for thousands of families who had previously been dependent on private landlords and often lived in appallingly cramped and unhygienic conditions. Pendower Estate was built in the 1920s as part of a national crash building programme to provide “homes fit for heroes” after the First World War. The City Council saw this as an opportunity to provide local families with generously designed, good quality homes with gardens at affordable rents. They chose a garden suburb model for Pendower which they hoped would offer the best aspects of a traditional English village. 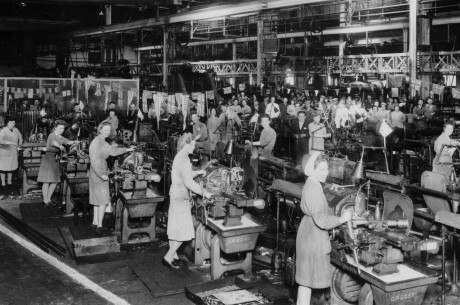 By the First World War, Armstrong’s factories employed an all-time peak of 20,000 workers. Women were drawn into the factories during this period to do jobs formerly the preserve of men – but once the fighting was over the women were out of work again. Although local industries were making healthy profits, local people did not always share in this prosperity. 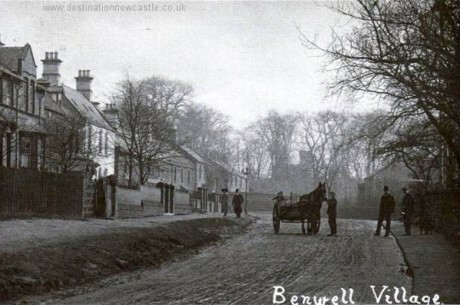 Poverty was common in Benwell and Scotswood mainly as a result of low wages and irregular work. Many children went barefoot, and the poorest families relied on meals provided by the council or charities. People lived in fear of the poor law and the workhouse. There was no free healthcare, and infectious diseases were rife, often claiming many lives at a very young age. 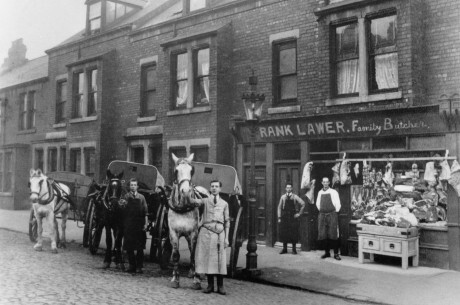 The First World War was a boom time for employment but it was also a time of great loss and sadness for local people. Many Benwell and Scotswood men died as a result of a war which cost an estimated 37 million lives in total. The Benwell war memorial, which is located inside St James’ Church, records the names of all those local people who lost their lives as a result of the war. 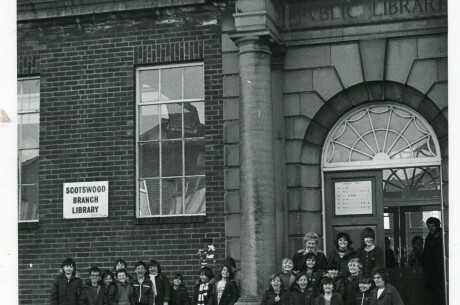 The first part of the 20th century was a time of growth for Benwell and Scotswood. Armstrong’s, which dominated employment locally, was booming and new homes were springing up across the area. 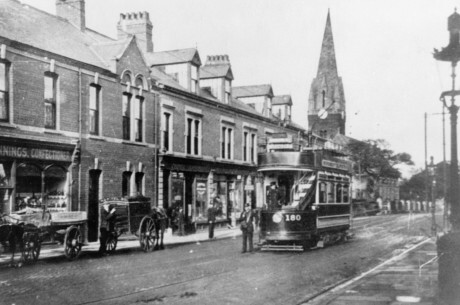 However the growing population needed more than just housing; Scotswood Road was a lively thoroughfare packed with pubs, shops and churches, and Adelaide Terrace had also developed into a busy shopping area. 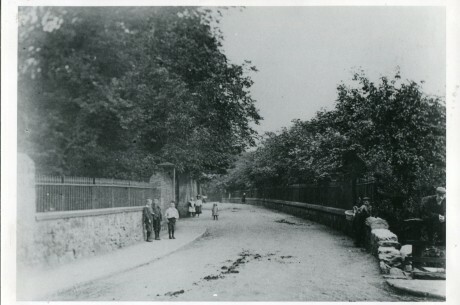 Hodgkin Park had opened in 1899 in West Benwell, and in 1908 the Carnegie Library opened in Atkinson Road. 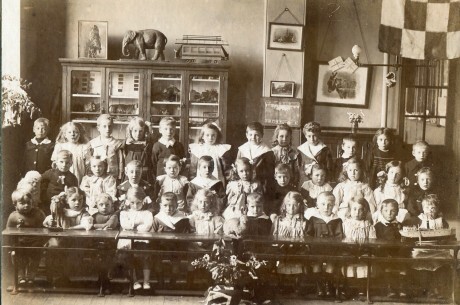 Several new schools – including Canning Street, Atkinson Road and Denton Road – were also provided to meet the needs of the large numbers of children now living in the area.Local people also had their own organisations – the churches, trade unions, co-operative guilds and others – which were the backbone of social and community life in the area. 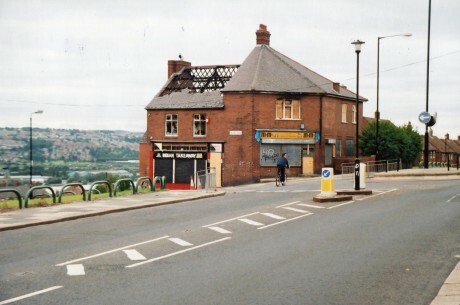 During the 1990′s the Benwell terraces became notorious for crime & social disorder. Whilst many people moved away, some stayed and chose to tackle the problems head-on. 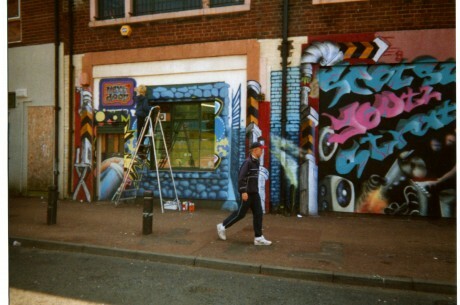 In this audio piece, Carol & Joanie recall the initiatives they developed as community activists, including street parties, residents groups and informal youth work; working tirelessly to improve the social and built environment of their neighbourhood. A short film about the story of Scotswood Diner- a community built and run Cafe on Armstrong Road. 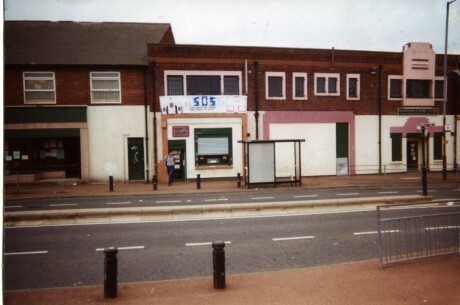 The film begins with a news report from 1998, the year that Greggs Bakery, one of the last remaining shops in the area closed down, and covers the story of how the community took it over and developed it into to the brilliant community cafe that it is today. Silent film footage of architectural models of the proposed Scotswood Estate, 1964. 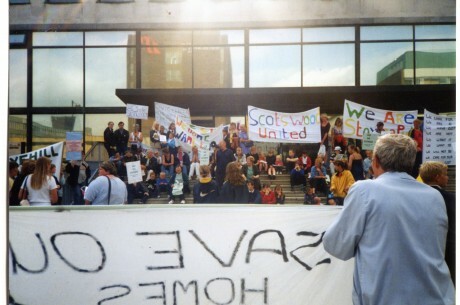 Young people from Scotswood talk about local unemployment & education issues, against the backdrop of the Thatcher era. 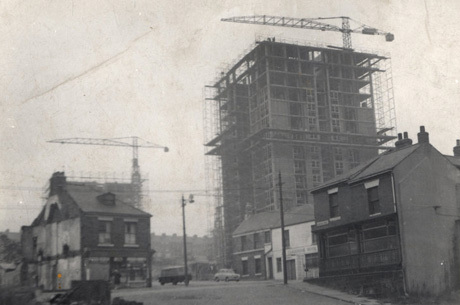 A beautiful Tyne Tees production unearthed from the NRFTA, this half hour programme chronicles the regeneration of Scotswood Road from the point of view of residents and small business’ affected by the changes. Interspersed with some dry comedy moments from the Tyne Tees Studio this film shows the flip-side to the glossy media frontage of early regeneration schemes, all to an epic Blaydon-Races inspired soundtrack! A boat journey down the River Tyne is interspersed with footage of the struggle to save Scotswood Works, the giant factory set along the riverbank that employed thousands of local workers until the 1980s. Filmed by Newcastle-based collective Amber Films. Short extract from a longer film documenting the history of Vickers-Armstrong factory. In this extract works convenor Jim Murray talks about the politics surrounding the decline and the economic and social effects the closure will have on the local area. Ted Clark worked as an electrician during the regeneration of Elswick & Benwell in the 1960′s. In this reflective piece he talks about practical issues relating to the construction of the properties he worked on, and poses a number of questions about why they were so short lived. Billy started taking photos at 13 when his dad bought him a 35mm camera. Years later when Billy heard his street was going to be demolished he started photographing it and moved into filmmaking, capturing the changing landscape of Northbourne & James Street day by day. In this film he tells us about his dedication to his project and why it means so much to him. Jackie and Liz are community activists who have been instrumental in setting up a stream of successful campaigns and community projects since the late 70′s. In this interview they talk about their experience of taking action to improve life on Scotswood estates in the late 70′s and 80′s and how it compares to the present governments calls for ‘the Big Society’. This short-documentary is the product of a close collaboration with residents of the area of Scotswood, Newcastle upon Tyne, UK. Over the last 10 years the area has been the subject of a series of radical regeneration schemes, which involved mass demolition and clearances of many of its neighborhoods. This film looks at the landscape and the people of Scotswood today, and their efforts to be involved in the regeneration process. Developed for Campaign Trail, funded by NFM. Short poetic film made with former Benwell resident Yvonne Young, reflecting on her childhood memories and emotional relationship with the area. Based on a piece of text written and read by Yvonne. The Pink Ladies girls’ group based at Scotswood Area Strategy reflect on their experiences of growing up in Scotswood and their hopes for the future and compare this to older generations’ experiences. As well as conducting the interviews, the girls created the imagery by filming in their neighbourhood and mixing this footage with archive film of the area. In this short extract, a local priest acts as our guide on a tour of the Rye Hill area. Des Walton was a local historian and archivist who worked in Newcastle Libraries for over 50 years and initiated the West Newcastle Picture History Collection, a fantastic volunteer-run photographic archive based at the West End Library. In this film, Des, retired but still passionate about local history, puts on a slideshow about his friend and well-renown photographer Jimmy Forsyth, who rose to fame through his compelling images of Newcastle street-life, focusing on his life, photography & legacy in the west end. Excerpts from a Vickers-Armstrong production showing the armaments factory’s peaks and troughs during the First and Second World Wars. Short news report on the closure of many of Benwell’s small independent shops as a result of the development of a large shopping centre, with interviews from local community workers. Amina Francis from Scotswood Area Strategy (SAS), talks about the on-going regeneration of Scotswood, the recent demolition of ‘The Pink Palace’ – the Strategy’s original home for over 10yrs – and their move to their new premisis. It also looks at how the Council’s cutbacks are affecting the areas & SAS. Made as part of an Archive for Change film training workshop. 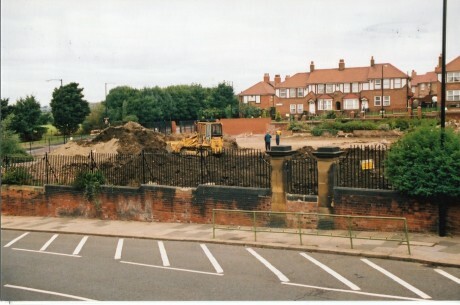 Nicky & Steve Riches lived in Denton Gardens during the 1990s when ‘Going for Growth’ was introduced – a radical urban planning scheme that affected both the west end and east end of Newcastle. In this interview, they outline the politics of Going for Growth and the impact it had on their home, family and community. The massive Vickers-Armstrong Factory on the banks of the River Tyne was founded on William Armstrong’s innovation in arms manufacturing. During the world wars this was a thriving but deadly source of economic growth for Tyneside, This extract highlights the global implications of maintaining this regional industry. Silent footage from 1923 documenting an outing to Benton for the ‘West End Aged Poor’. Skipping & tug-of-war for the brave & young at heart, and plenty cups of tea for everyone! Archive for Change worked with the Girls Group at Pendower Good Neighbour Project to create a wonderful film about the estate. Through a series of workshops the girls learnt how to use video & sound equipment and developed interview techniques. The film weaves together a collection of interviews from four generations of Pendower residents recounting life, memories and histories of Pendower, the UK’s first council estate, from the 1930′s to 2011. Renown local photographer Jimmy Forsyth talks about his feelings about the demolition of Scotswood Road, and meets with politician T Dan Smith to discuss their individual takes on the subject. Short silent clip showing living conditions in Elswick’s Noble Street flats. Built in the 1960′s the flats became notorious for poor living conditions and social problems, and were demolished by the 80′s. Amateur footage from Benwell residents documenting the clearance programme in their area, exploring Maughan Street, Clara Street, Rachel Street, Maria Street and the Pipetrack; terrace streets that have since been demolished. A short film extract about the origins of Benwell Nature Park, a small urban nature reserve developed on the site of demolished housing in the 1980′s. The Carnegie Building was originally opened as a public library in 1908. The centre is now a social enterprise and is home to a number of initiatives and services which offer a wide range of community focused activities. Staff and members central to the development of the building share the story of its history and highlight it’s value as a central community hub. Made as part of Archive for Change film-training workshop. Following on from Part 1, local historian and archivist Des Walton puts on a slideshow about his friend and well-renown photographer Jimmy Forsyth, who rose to fame through his compelling images of Newcastle street-life, focusing on Jimmy’s life, photography & legacy in the west end.